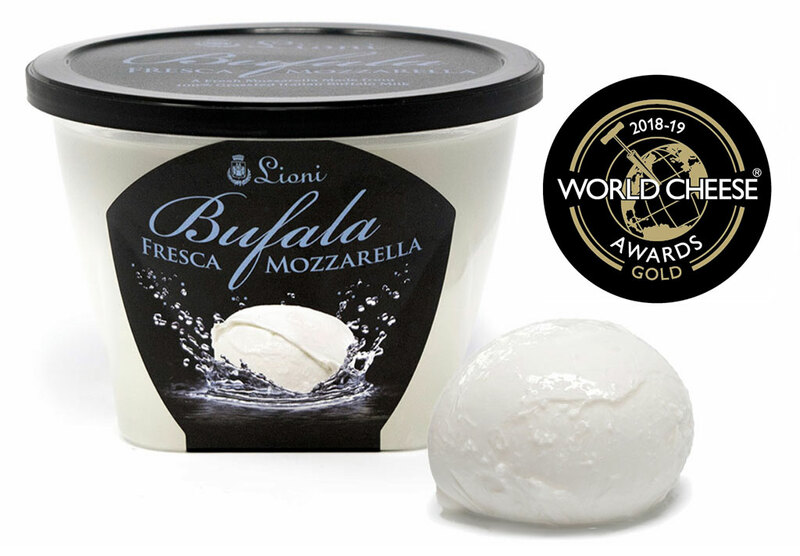 News and events at Lioni Latticini, Inc.
Lioni's Bufala Fresca was awarded a gold medal at the 2018 World Cheese Awards in Bergen, Norway. 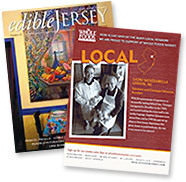 The World Cheese Awards is the largest and most esteemed competition of its kind and is run by the UK's Guild of Fine Food. 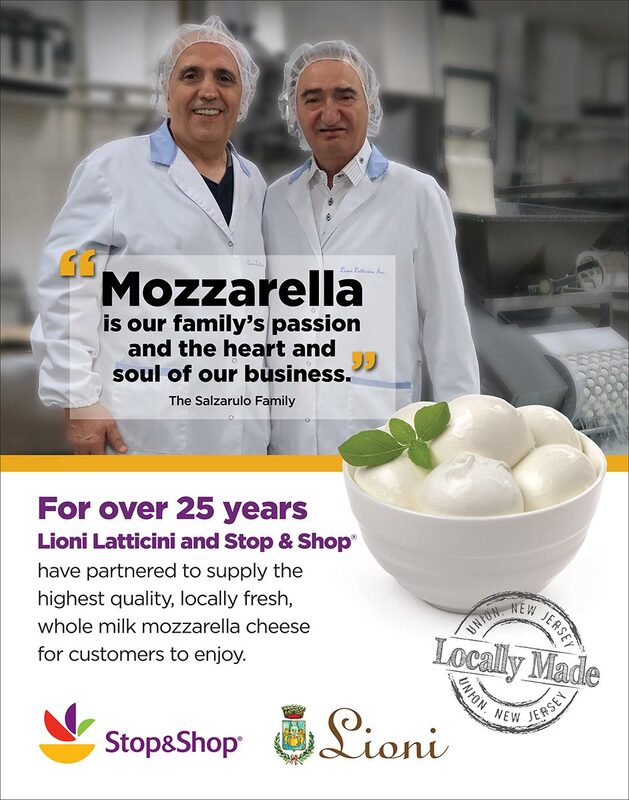 For over 25 years Lioni Latticini and Stop & Shop® have partnered to supply the highest quality, locally fresh, whole milk mozzarella cheese for customers to enjoy. 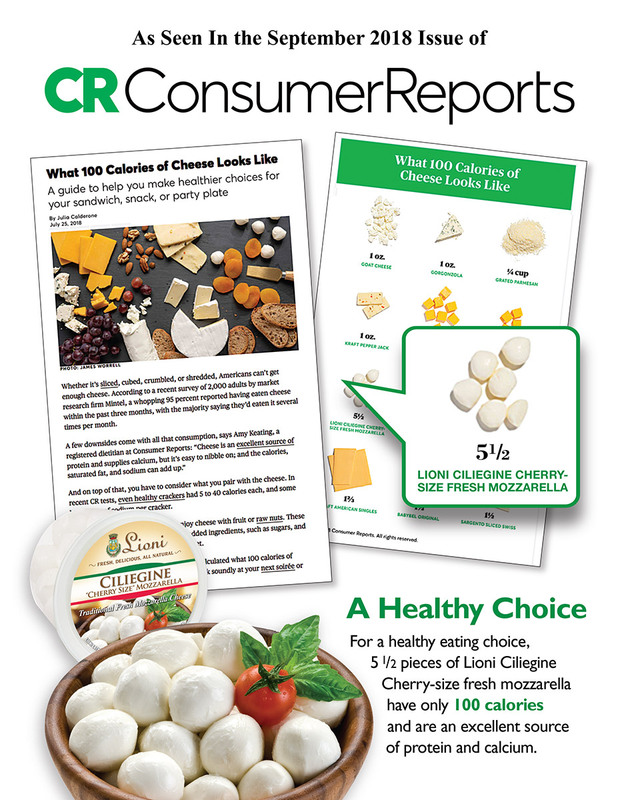 For a healthy eating choice, 5 1/2 pieces of Lioni Ciliegine Cherry-size fresh mozzarella have only 100 calories and are an excellent source of protein and calcium. 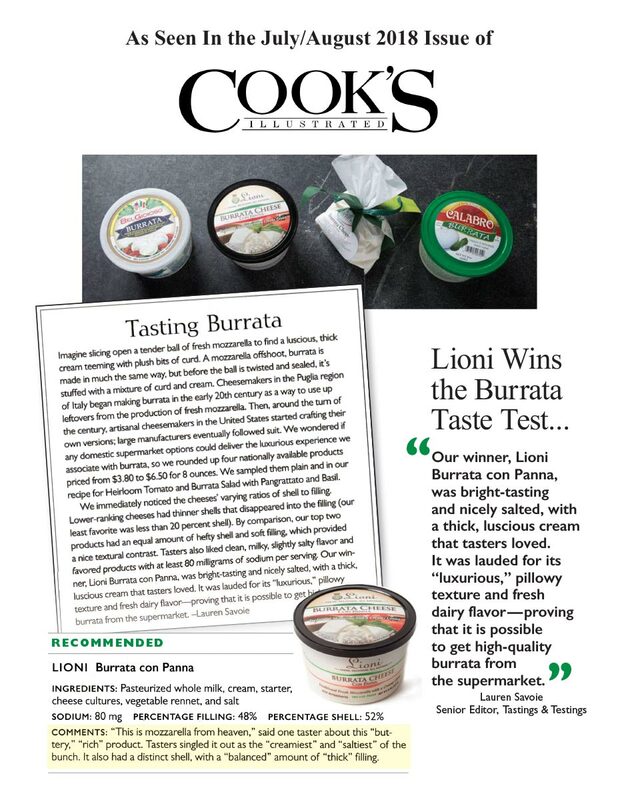 Lioni Burrata Con Panna wins the Burrata Taste Test..."bright tasting and nicely salted, with a thick luscious cream that Taster's loved. 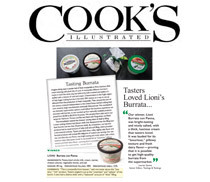 It was lauded for its "luxurious," pillowy texture and fresh dairy flavor—proving that it is possible to get high-quality burrata from the supermarket." 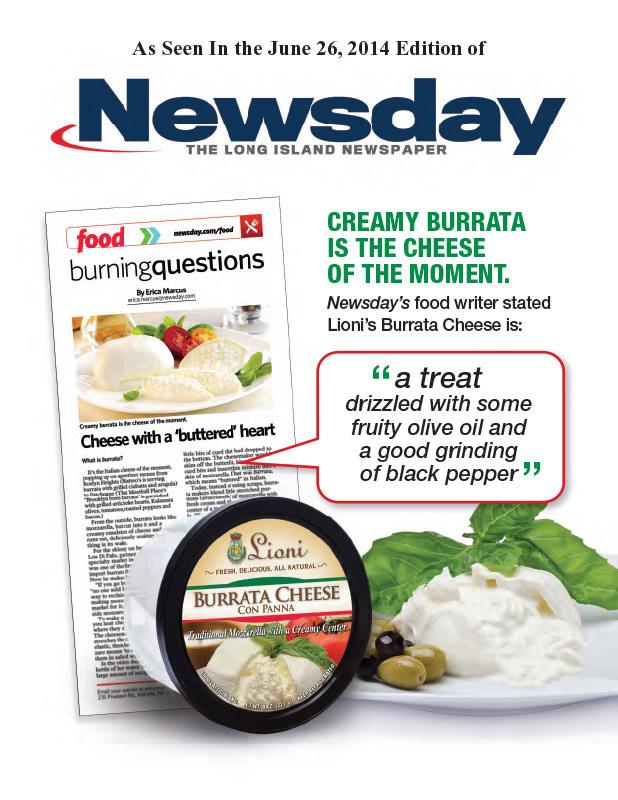 What makes the best fresh mozzarella? It's all about balance. 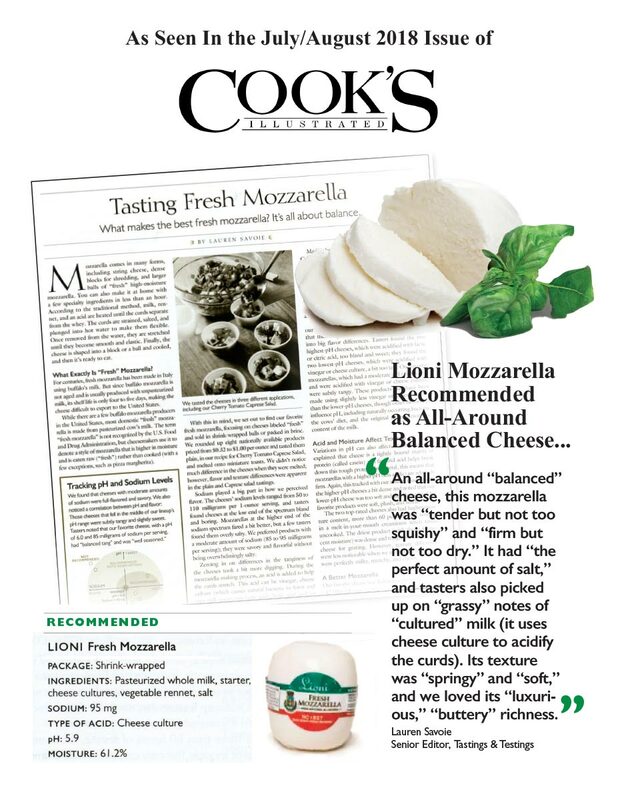 Lioni Mozzarella recommended as an all-around balanced cheese ..."tender but not too squishy" and "firm but not too dry." 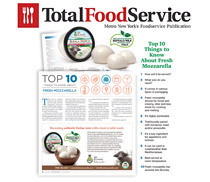 It had "the perfect amount of salt," and tasters also picked up on "grassy" notes of "cultured" milk (it uses cheese culture to acidify the curds). 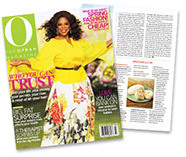 Its texture was "springy" and "soft," and we loved its "luxurious," "buttery" richness. Lioni's Burata Con panna received an award at the 2018 ACS Annual Award Ceremony. 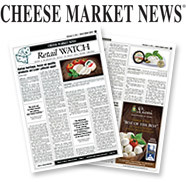 The ACS brings light to American cheese makers by recognizing their talent and excellence within the industry. 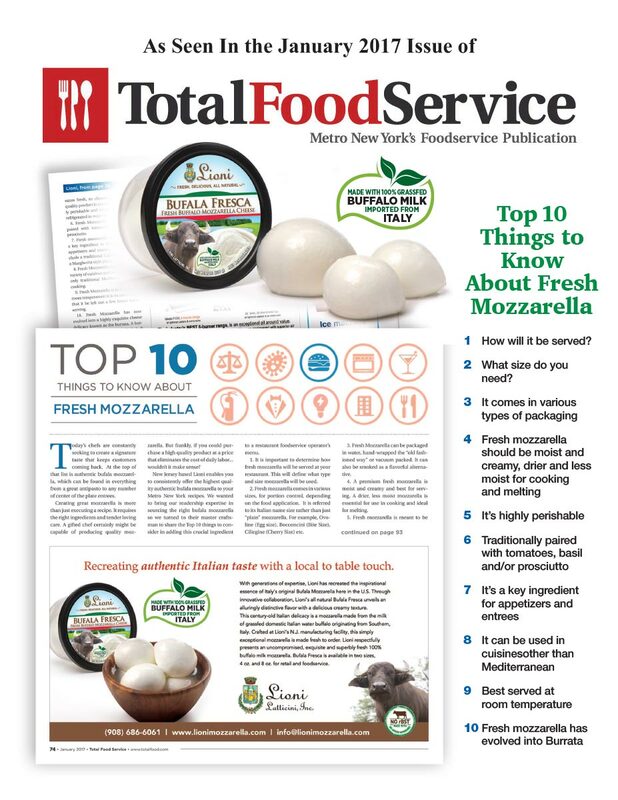 Total Foodservice wanted to bring their readership expertise in sourcing the right bufala mozzarella, so they turned to Lioni's master craftsman to share the top 10 things to consider in adding this crucial ingredient to a restaurant foodservice operator's menu. 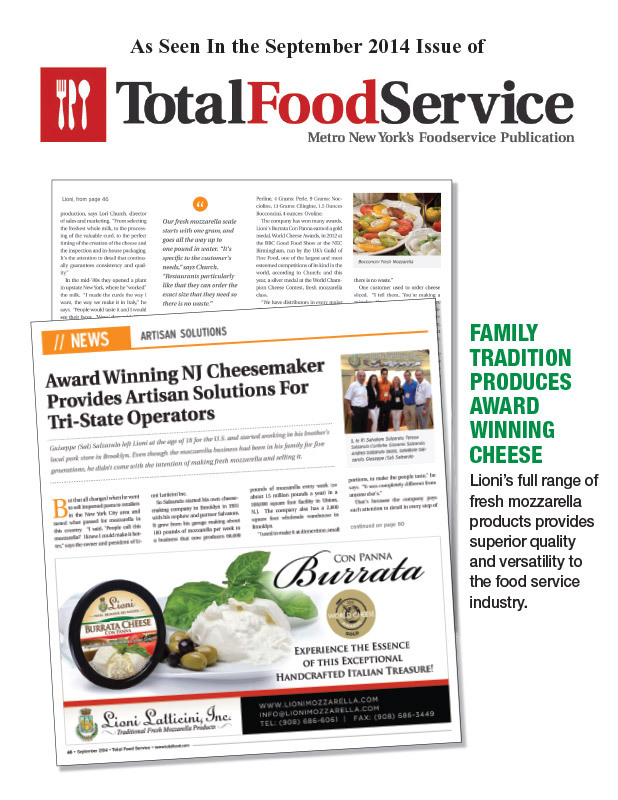 Teaming up with major mozzarella producer Lioni Latticini, Urbani's Truffle Burrata has broken into the market with much acclaim from retailers. 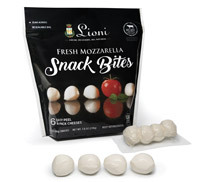 The company calls this selection the Queen of Italian Cheeses with a Truffle twist…"
Lioni Latticini introduces Fresh Mozzarella Snack Bites for an on-the-go premium fresh mozzarella snack. 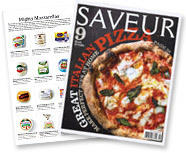 The Salzarulo family has packaged their fine traditional Italian cheese into a convenient snack of six easy-to-peel 4 piece packages. 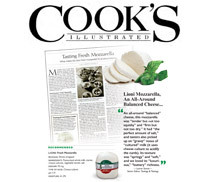 Lioni Satisfies Sophisticated Palates Of Chefs And Patrons With Their Authentic Bufala Mozzarella Made In The U.S. 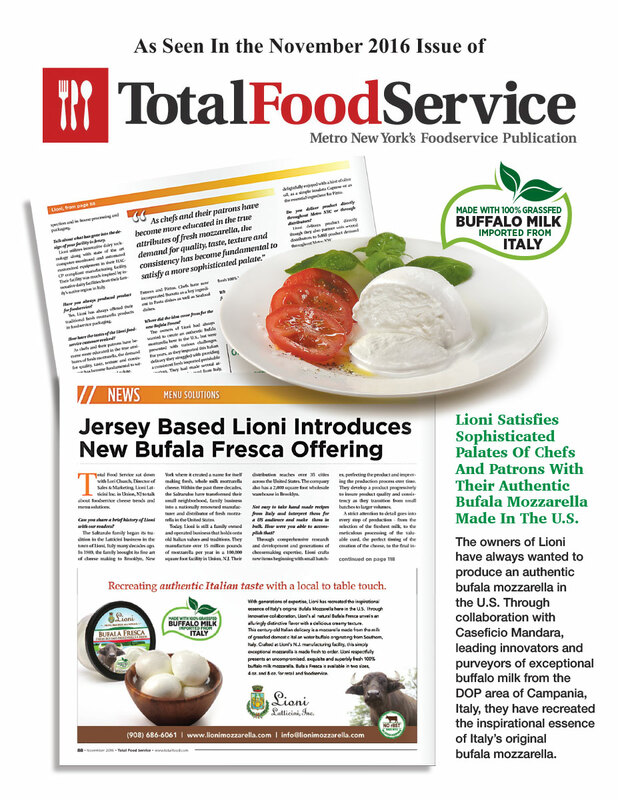 The owners of Lioni have always wanted to produce an authentic bufala mozzarella in the U.S. 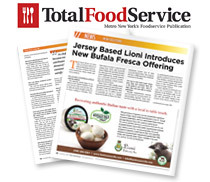 Through collaboration with Caseficio Mandara, leading innovators and purveyors of exceptional buffalo milk from the DOP area of Campania, Italy, they have recreated the inspirational essence of Italy's original bufala mozzarella. 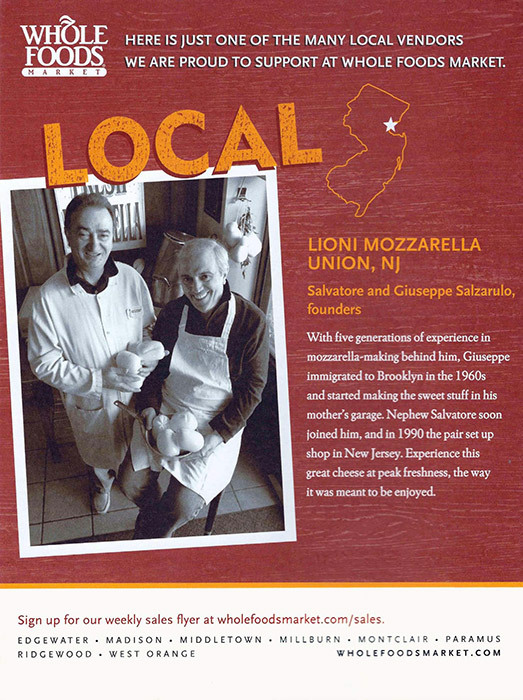 A dialogue with Teresa and Andrea Salzarulo highlighting Lioni's offerings for the upcoming evening's festivities. 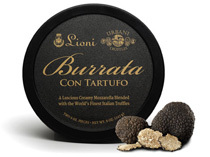 Burrata Con Tartufo set the stage at Lioni's Mozzarella Bar during Urbani Truffles Annual Celebration. 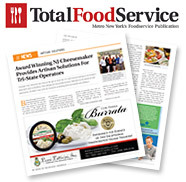 Specialty Food friends enjoyed a mozzarella making demonstration as well as a relaxed, dining and dancing experience aboard a sunset truffle cruise. 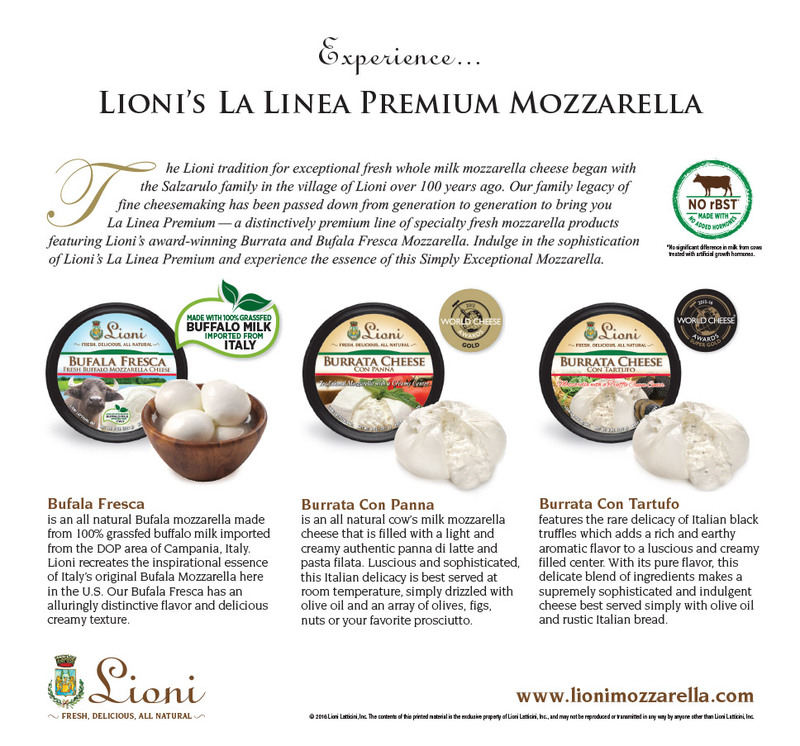 Lioni Brings You "La Linea Premium Mozzarella"
A distinctively premium line of specialty fresh mozzarella products, featuring Lioni's award-winning Burrata and Bufala Fresca Mozzarella. 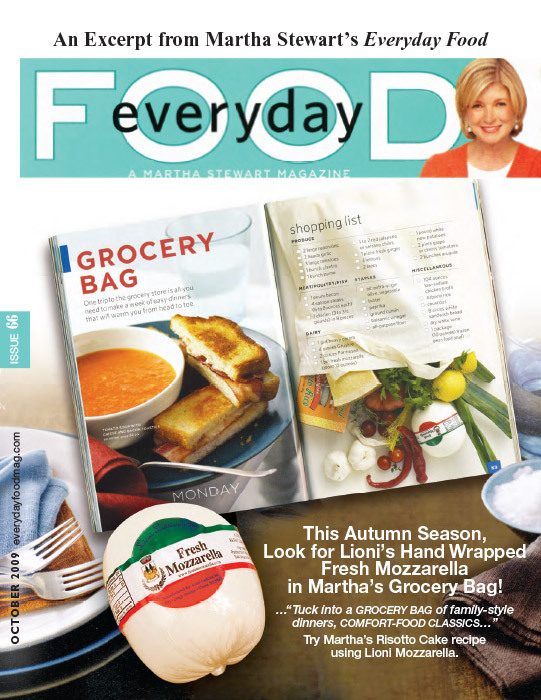 Experience the essence of these Simply Exceptional Mozzarella Products. 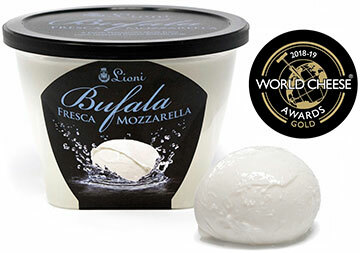 Lioni’s Burrata Con Tartufo received a Super Gold award and was named one of the World’s 62 Best Cheeses at the 2015 World Cheese Awards held at the BBC Good Food Show at the NEC in Birmingham, UK. 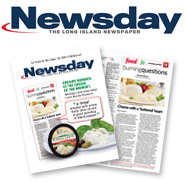 A panel of 250 cheese experts from around the world, including Italy, France, Australia, Japan and the USA, judged over 2700 entries with 62 of the world’s best selected for Super Gold. 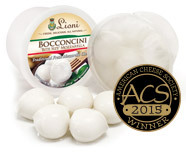 Lioni’s Bocconcini fresh mozzarella cheese received second place at the 2015 ACS Annual Awards Ceremony. 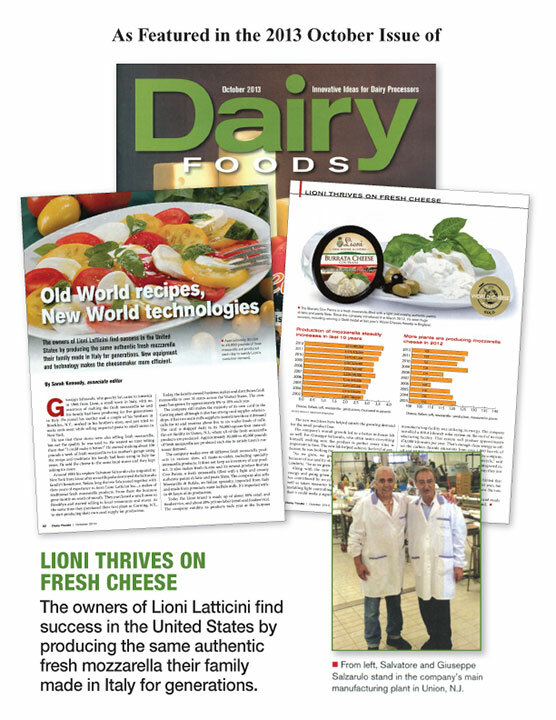 Such a prestigious award is given to cheeses and dairy products that have achieved technical excellence and possess the highest aesthetic qualities. 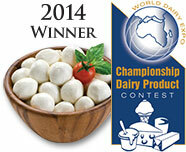 Lioni’s traditional fresh mozzarella cheese received first place for the Ciliegine in the fresh mozzarella category. 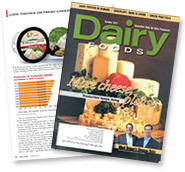 The World Dairy Expo Championship Cheese Contest is a prestigious all-dairy National contest sponsored by the Wisconsin Dairy Products Association. 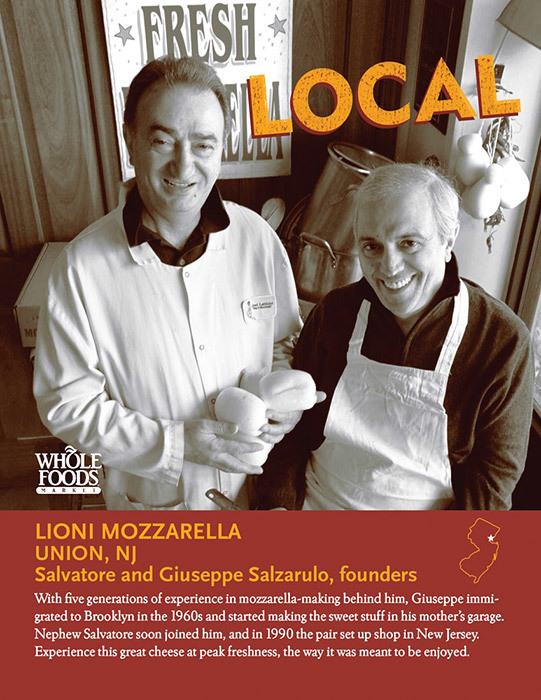 Lioni’s fresh mozzarella products are made from the heart, in the Salzarulo family’s long cheesemaking tradition. 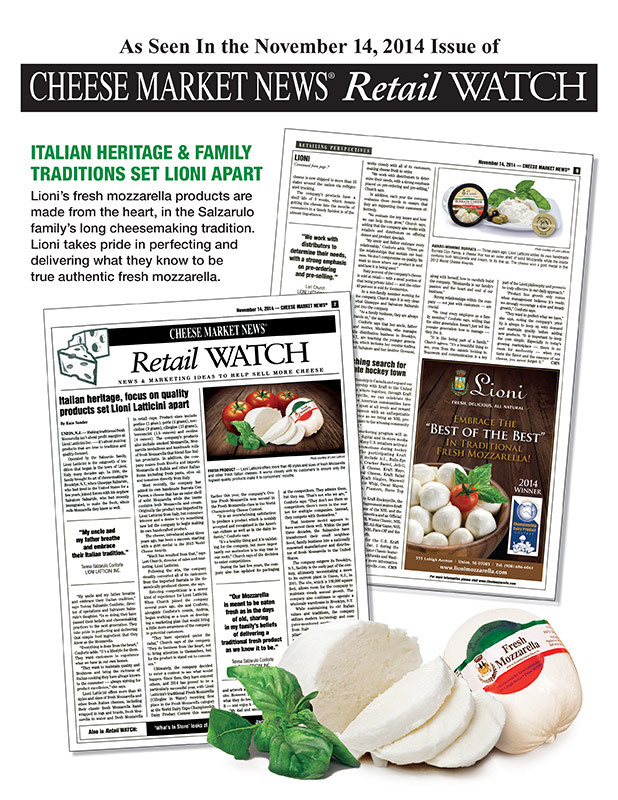 Lioni takes pride in perfecting and delivering what they know to be true authentic fresh mozzarella. Creamy burrata is the cheese of the moment. 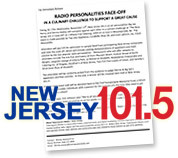 Newsday’s food writer stated Lioni’s Burrata Cheese is "a treat drizzled with some fruity olive oil and a good grinding of black pepper"
NJ 101.5 Radio personalities face-off in a culinary challenge in support of the Joe Romanowski Culinary Educational Scholarship! 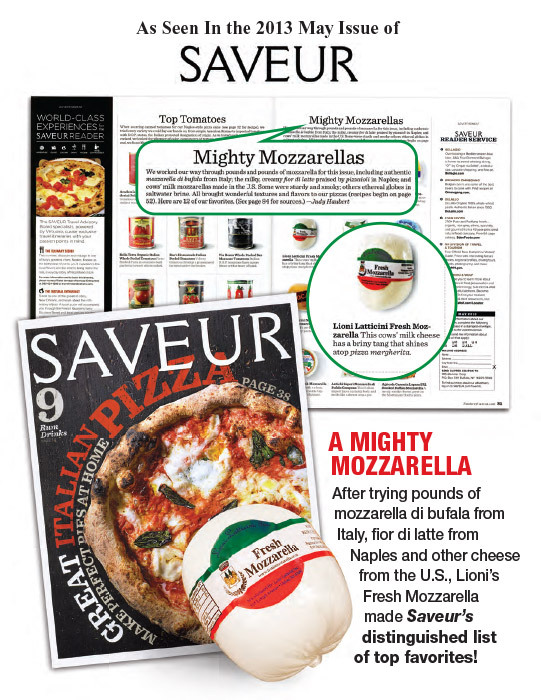 Look for Lioni’s "Mighty Mozzarellas" in the May 2013 issue of Saveur! 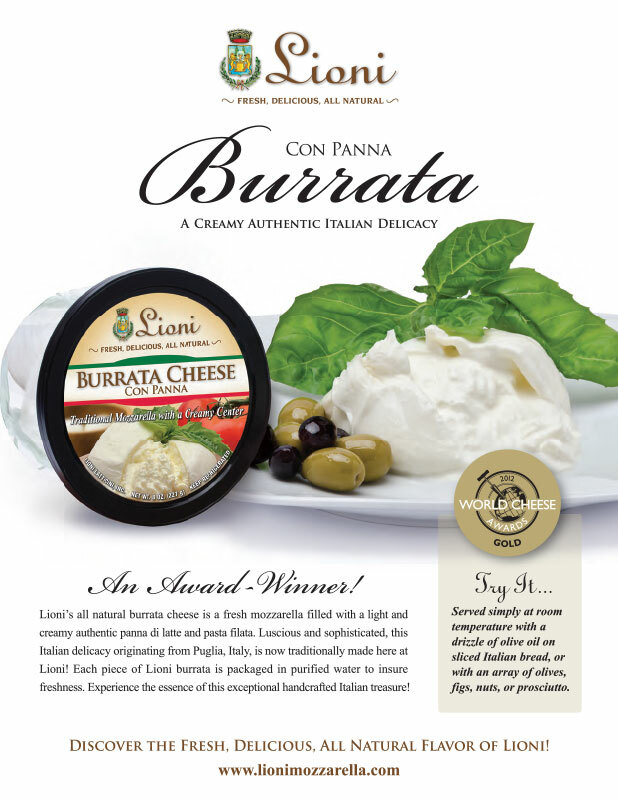 Lioni takes home a gold medal award from the World Cheese Awards in Birmingham (UK). 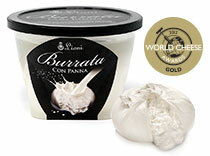 The World Cheese Awards 2012 was recently held at the BBC Good Food Show at the NEC. 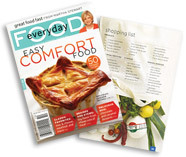 It is run by the UK’s Guild of Fine Food, which is the largest and most esteemed competition of its kind in the world. 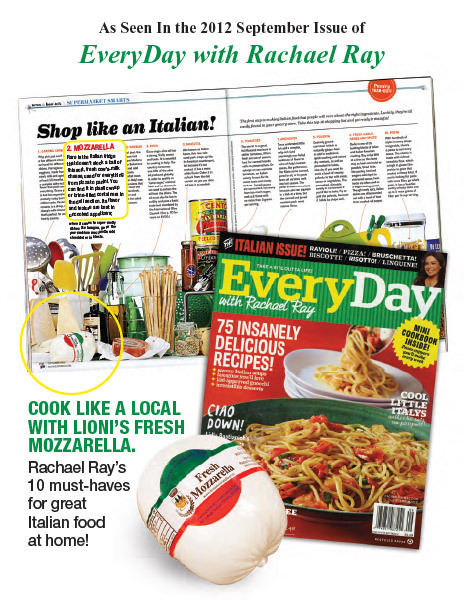 Look for Lioni’s hand wrapped fresh mozzarella in the September 2012 issue of EveryDay with Rachael Ray - The Italian Issue! 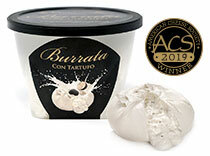 Lioni Latticini Introduces Their Handcrafted Italian Treasure, Burrata Con Panna! 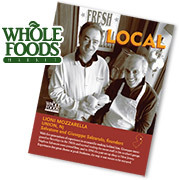 Shop for Lioni’s hand wrapped traditional fresh mozzarella in your local Whole Foods Market throughout the Northeast and "...experience this great cheese at peak freshness...!" 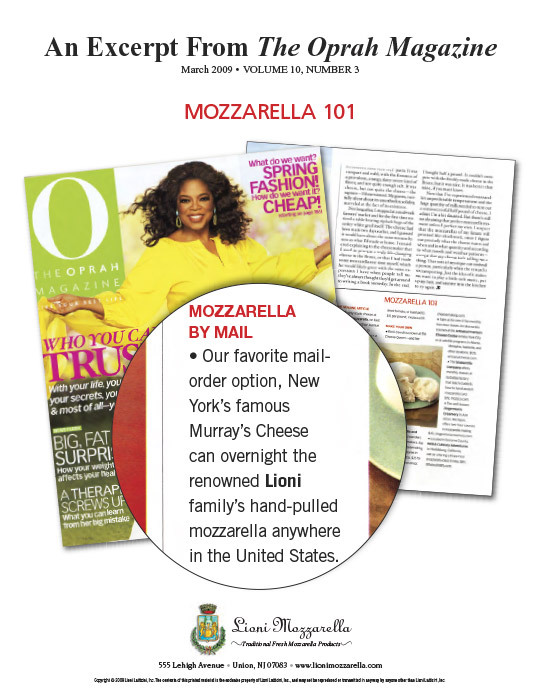 Read Lioni's recent acknowledgement in the March 2009 Oprah issue and see why Oprah's favorite mail-order option ships the renowned Lioni Family's Fresh Mozzarella!